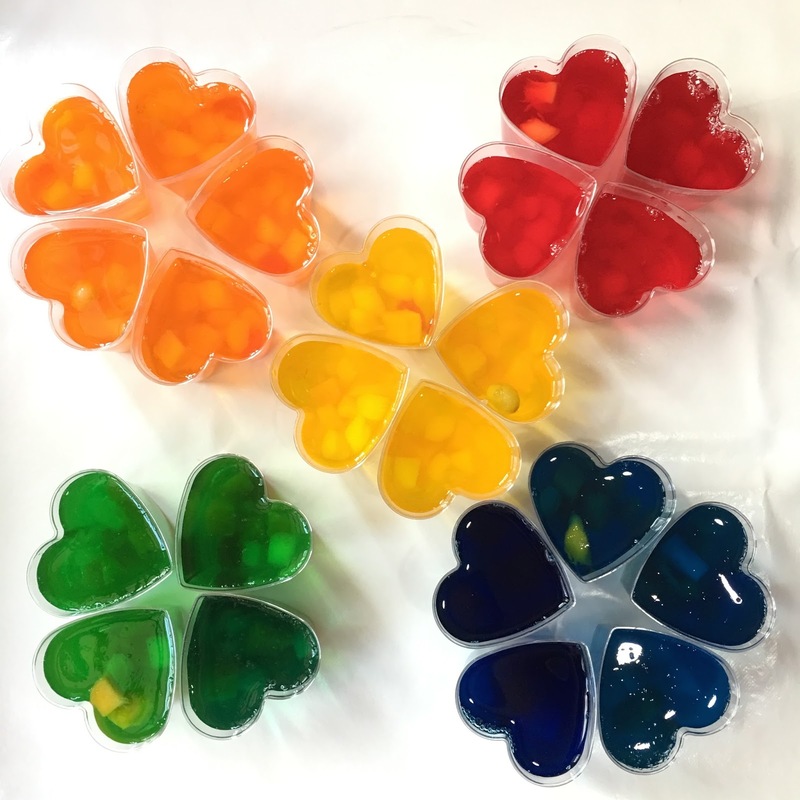 Time to usher in the New Year with some Jello shots. I meant the kid friendly version ( without the booze). 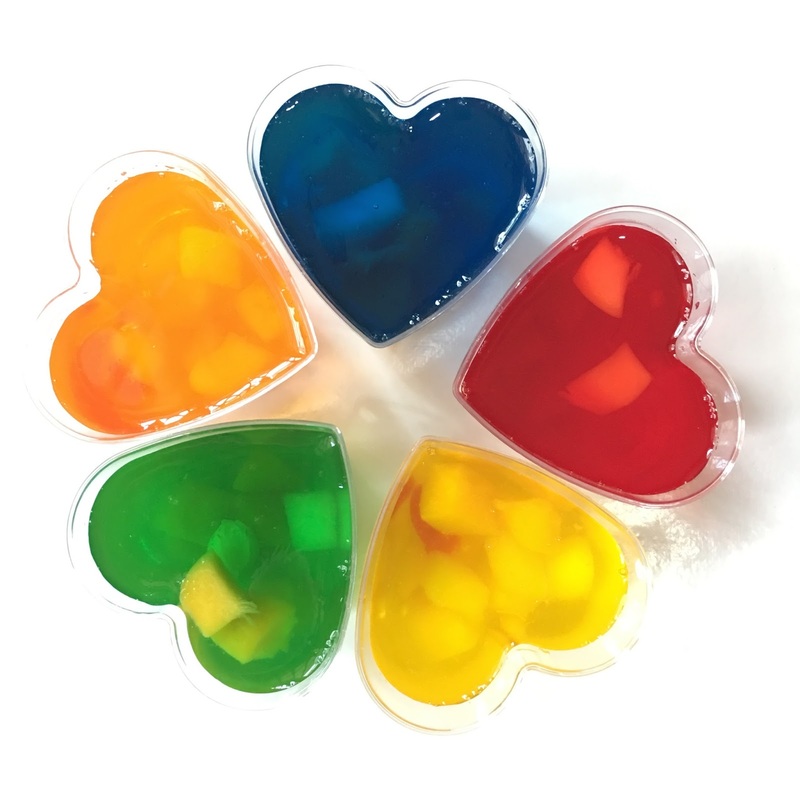 Attractive Jelly and fruits prepared in heart shape cups adds life to your dinner table. It’s one of the easiest things to prepare for dessert if you’re in a hurry and can be made way in advance. That way you don’t have to worry about dessert while preparing your New Year meal. I know how crazy things can go in a kitchen when you’re the one preparing everything. Trust me, don’t eat more than you can chew and don’t stress yourself over preparing too many things at once.